In this Banner Life Insurance review we cover their financial strength, types of products offered, eligibility, sample rates, complaints, and much more. For those wondering if they are a good choice for life insurance, Banner Life insurance has been around for over 60 years. The company is owned by Legal and General America which was founded in 1836. It is safe to say that Banner Life Insurance is here to stay, and you can trust that they are a good choice for life insurance in 2018 and beyond. If you would like to apply for a policy with Banner, please call 888-407-0714 to speak with on of our licensed agents. You can also get a quote online here. Banner Life Insurance is currently rated as A+ (Superior) from A.M. Best effective November 10, 2017. They also hold an A+ rating with the BBB and ratings of AA- with both S&P and Fitch. 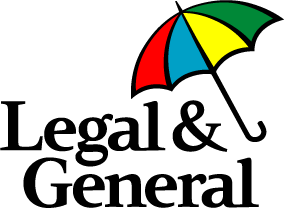 Parent company Legal and General America boasts 1.2 million US customers, and is in the top ten provider of term life insurance in the United States having issued over $48 billion of new coverage in 2016. According to their corporate financials, they currently have over $678 billion of life insurance in force. All of the operating companies under Legal & General America had $4 billion in assets at the end of 2016. Banner’s OPTerm life insurance product offers term life insurance coverage for 10, 15, 20, 25, and 30 years. It is also renewable and convertible to permanent life insurance. Coverage amounts for Banner OPTerm range from $100,000 to $1,000,000+, and term lengths vary depending on the applicants age and rate class. Please see the chart below. The premiums are level for the term of the policy, and they will increase annually in the years after the term is up. *Quotes are presented in a monthly premium format. The rates shown in these charts are the new rates coming out 2/26/18. The above rates are for a non-smoker in excellent health and are subject to changes. The accelerated death benefit is payable in the event of a qualifying terminal illness. The max amount payable is the lesser of $500,000 or 75% of the policy’s death benefit. Additional riders are available depending on the resident state of the insured. In addition to the great OPTerm product that is offered, Banner now offers accelerated underwriting to qualified applicants. This mean that applicants can get a life insurance without the exam and labs, which greatly reduces the time to get coverage in force. With APPcelerate, applicants can be approved as soon as the next business day. Refer to the chart below for eligibility and coverage amounts. The rates will be the same as OPTerm listed in the sample rates section. For those strictly looking for a policy with no medical exam, also consider Sagicor Life Insurance. Banner Life Insurance also offers a universal life insurance product called Life Step UL. It is a flexible premium universal life plan. Life Step UL offers guaranteed coverage to maturity at age 121. This product was designed to be converted from term coverage or new policies with face amounts as low as $50,000. The guaranteed interest crediting rate for Life Step UL is 2% per annum. The issue ages are 20-80 and are based on your age nearest birthday. The premium will not exceed the guaranteed premium. We hope this Banner Life Insurance review has helped guide you on your decision to purchase a life insurance policy. 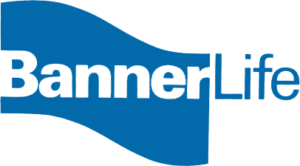 It is no wonder that Banner Life Insurance is one of the top 10 life insurance companies in business today. Their strong financial rating combined with cheap rates and fast underwriting make them a strong contender when choosing a company for your life insurance needs. If you need assistance in purchasing life insurance, you can reach out to one of our licensed agents at 888-407-0714 or request a quote here and we will be in touch. In depth guide to choosing the right no exam life insurance for your situation. Choose the right life insurance company with this guide to the best term life companies. Detailed guide to choosing the best burial insurance companies. Detailed review of Colonial Penn life insurance featuring products offered and customer service. Globe life insurance review of customer service and products offered.